The Raven Guard are Space Marines like no other. 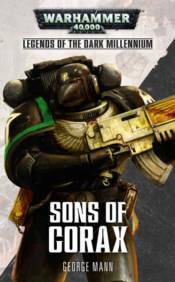 The sons of Corax fight their battles with stealth and speed rather than fury and flame. As shadows of death, they appear behind enemy lines and strike without mercy or restraint. Chaos engulfs the Sargassion Reach, and Captain Koryn's Raven Guard lead the fight against the pestilent forces of Nurgle. But they are not alone; the Brazen Minotaurs, led by the headstrong Captain Daed, are aiding them in their mission. Can the two Chapters bring their wildly different tactics together to defeat the foe and save the Sargassion Reach from damnation?